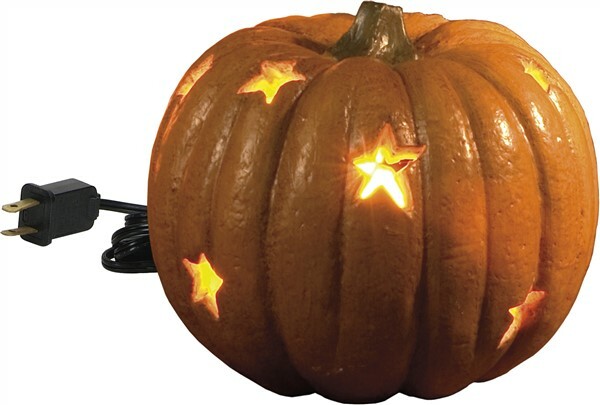 This lighted "antiqued" look pumpkin will become a family favorite for years to come! It is made of resin with a light cord and bulb and it is approx 5" x 4". The cut out stars let the light shine through them like a real pumpkin. Set it in your window or on your table to light up your holiday all fall long.